From hauling heavy script boxes through the rough terrains of Pollachi to now effortlessly lifting the box office with his debut film as director, Jude Anthany Joseph stands out in the Malayalam film industry as one of its most promising talents. But then, a good cinema, as Om Shanthi Oshaana has been feted by critics, can come only from an inherent goodness. After all, here is a youngster who changed his first name to that of his patron saint not because of usual filmy superstitions but as an offering to providence, after his close friend went through a brain tumour threat and miraculously came out of it unscathed. A former employee of Infosys, Jude’s tryst with cinema is defined by two pillars: Passion and friendship. With no film background of any sorts, he took a break from work, feigning illness, to work as an assistant director of Dileep’s movie, Crazy Gopalan. Doing what he loved to do than be stuck in air-conditioned cabins performing a job half-heartedly, his decision to take the plunge into movies was further shaped by the camaraderie he shared with actors Nivin Pauly and Aju Varghese, actor-singer-writer-director Vineeth Sreenivasan and composer Shaan Rahman. All three of his friends, not surprisingly, also act in Om Shaanthi Oshaana, while Shaan composes the music. “I instantly liked the story when Mithun Manuel (who also co-scripts the movie with Jude) narrated it to me. So did Nivin to whom I told it first. However, I suggested that we make it an inter-caste romance, not that it matters in today’s age and time, but to give the film a different sort of aura,” says Jude. At best, Jude was confident that the film will not flounder at the box office. But the overwhelming response and the superhit status have come as a pleasant surprise, which he is relishing. Jude is enjoying that phase now, although he listens to a lot of stories for his next project, which he says will invariably have his favourite team – Nivin, Aju and Vineeth. As part of introducing novel elements to the film, Jude also roped in directors Lal Jose and Renji Panicker to play important roles. “Fortunately both of them agreed to do the roles readily,” says Jude. Om Shaanthi Oshaana comes across as a clean movie, even alerting against smoking and alcohol with youthful hilarity. “There is a perception that all newcomers endorse these and that the so-called ‘new generation’ films are vulgar. We took it as a challenge ensuring that it will be a ‘clean’ movie,” says Jude. 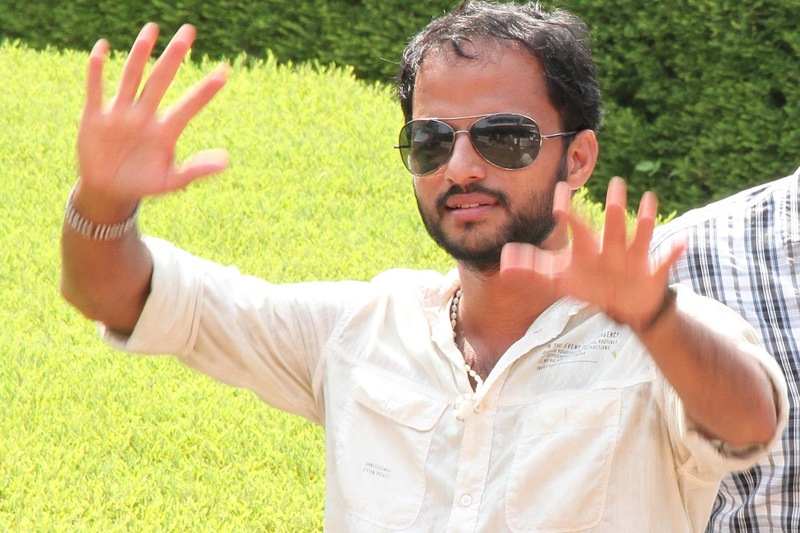 The young man from Athani, near Aluva, has indeed defined his credentials with his directorial debut. Down-to-earth and with no airs, Jude could also be the face of Malayalam cinema’s new generation – passionate, dedicated and celebrating the joy of friendship both at work and in life. Next Basheer, Chanthu or Sethumadhavan – who do you recall?